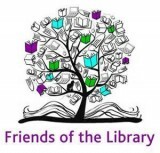 The Friends of the Libraries of Foster is a group of library lovers and dedicated volunteers. They hold fundraisers to supplement the libraries’ materials and programming budget throughout the year and serve as library advocates in the community. 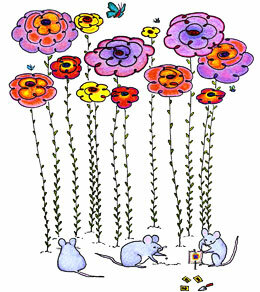 Saturday, November 10, 7:00 p.m.
Tickets for $10 each include 10 rounds of Bingo and free entry in a door prize raffle. The Friends of the Libraries of Foster is holding a fall fundraiser Bingo night to raise funds for the summer reading program 2019. Bingo game prizes will be a variety of gift cards to local businesses or baskets of local produce. Tickets for the eleventh and final round of Bingo will be sold for $5 at the door. The final round has a grand prize of a basket of ingredients for Thanksgiving appetizers. Everyone wins when you bring your friends to Bingo; enjoy an evening of fun as you support your local library and summer reading. During Foster Old Home Days (July 27 – 29, 2018) we drew 6 winners and raised funds for four new library programs in the coming year. Thank you to all the volunteers and donors who made this possible. Proceeds from the raffle ticket sales go the library programming. Saturday, June 3, 2017 at 7 P.M.
Tickets go on sale May 15, 2017 at both Tyler Free Library and at Foster Public Library. Tickets are $10 per person at the libraries and tickets may also be sold at the door, depending on available space. Refreshments and basket raffle tickets will be sold; All proceeds to benefit the libraries. February 2017 Library Lovers Calendar Raffle! Each day in February, a winner is announced, giving everyone multiple chances to win. Prizes include gift certificates to several restaurants and local businesses, movie tickets, artwork from local artists, gift baskets and so much more. Your purchase of one or more of these tickets helps to support your local Foster libraries. Tickets will be on sale at both Foster Public Library and Tyler Free Library.